Las Vegas Infusion Pharmacy will partner with the valley’s hospice agencies to manage their patients’ medications. The founders believe in death with dignity and the pharmacy is unique in a way that in addition to dispensing commercially available pharmaceuticals, it is also able to compound unique doses and dosage forms specific to every hospice patient’s needs. Las Vegas Infusion Pharmacy also provides clinical consulting, drug therapy screening based on the patient’s terminal diagnosis and duplication of therapy screening. The clinical pharmacists are happy to participate in inter-disciplinary team (IDT) meetings and provide in-service presentations to hospice clinicians. 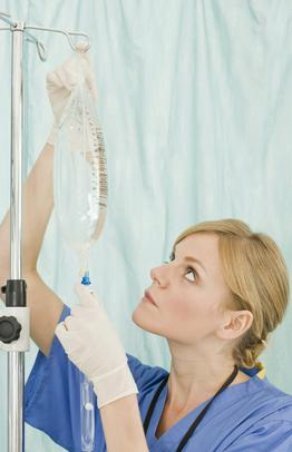 Las Vegas Infusion clinical pharmacists are especially trained in the formulation of pain medications delivered by patient controlled analgesia (PCA) pumps. These sterile medications packaged in special containers are compounded by pharmacists and pharmacy technicians in the pharmacy’s state of the art cleanroom. The PCA pump provides a continuous dose of the pain medication and gives the patient more control by enabling him/her to self-administer “on demand” doses for breakthrough pain. All staff are aware of the immediate need of new orders and urgent medications and we make those our priority. We offer STAT orders which is typically delivered in 2-4 hours. In addition, we have a pharmacist on call 24 hours a day to answer any pharmacy related questions and provide medication services to hospice patients.